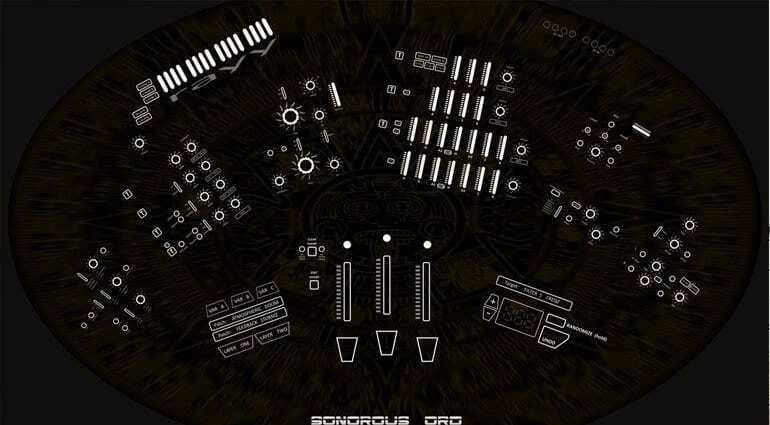 Sonorous Ord is forging a new path to creating the ultimate synthesizer. They are not worried about prototypes, sound demos or trying stuff out, they have an idea and a team and want you to invest in them on Kickstarter. 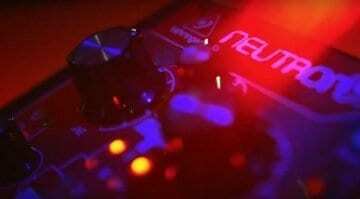 This is a synth full of complex and deep analog sonic structures that we’ve “never heard before in a hardwired synth”. It introduces 3 dimensional routing via double layered interacting presets and complex, multi-destination morphing. Awesome! What does it sound like? No idea. What does it look like? Difficult to say. But those sorts of realities are the old paradigm, trapped in old methods of electronics which rely on some kind of physicality to prove their value. Not these guys. This is a “flawless” concept that’s going to deliver a fully functional uber-synth by November – they just need your money and your input. 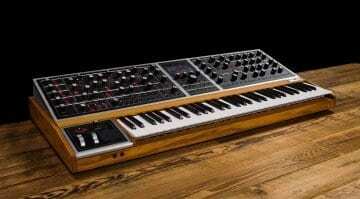 The synthesizer is certainly interesting. There’s this dual-layer architecture which runs two patches in parallel, combining 2 oscillators and an external input or noise. There are 4 LFOs and 4 envelope generators (of increasing complexity) feeding into what they say will be the most advanced modulation system ever conceived. The filter section contains 2 multi-mode resonant filters with a bit of drive on the input. And then it’s all finished off with some effects and EQ. A useful arpeggiator is available for a bit of input control. The sound generation and signal path is all analog but the control is all digital giving a highly versatile, programmable and recallable synthesizing experience. The most powerful feature is the 3-wheel morphing system. I struggled to understand how they were more than MIDI controller wheels from the Kickstarter copy but after a conversation with the man behind the curtain Yann Levesque I have a much better grasp of it. The Morph Wheels act as macro controllers assignable to up to 10 parameters in different ranges and directions. So you can get an awful lot of sound movement and change from a single control. There’s a rhythmic modulation system comprising of 5 complex gaters that can also be applied to the morph wheels. Sounds a lot like the sort of macro controls you get in Kontakt instruments. He says there are multiple contradictory parameter positions going on that are extremely complex and impossible to resolve in analog. He also says that a software rendering is impossible on a computer…. which makes me wonder how the RAYY is going to achieve it. 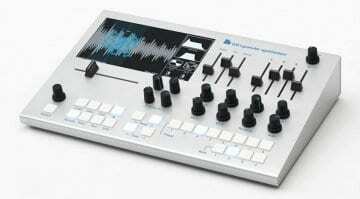 But that’s the thing, none of it actually exists – and that’s when the old paradigm starts pushing through the fog of vaporous imaginary synthesizer features. They go into some detail of the hardware, promising a no-compromise approach to the front plate and chassis to the point of making it waterproof. Apparently, it’s going to look like a satellite dish or an upturned dustbin lid, but the image on the page doesn’t look like anything much at all. A bit Tron-like I suppose, potentially interesting but so obviously unreal that it’s difficult to have any confidence in it. They do mention the potential for a rack kit so that should give us some idea about the size although Yann says it’s going to be more like 24″ wide but these details are something he hopes backers will have some input over. Crowdsourcing ideas requires good communication and an open attitude which was sadly lacking in a thread they opened on the GearSlutz forum. Many seasoned synthesizer people asked why they thought people would invest in something that didn’t exist and the person speaking for Sonorous Ord was less than patient in their response. In fact, they got very defensive very quickly before resulting to suggestions of insults and general bad behaviour – on all sides. This is not how you build a community around your product. Ultimately they are asking you to invest CA$2,499 (about £1407) in the potential of a piece of hardware that doesn’t exist and hasn’t been tried. There’s no proof of concept, no modelled version of the synthesis, no sense that they have dedicated their lives to creating the most awesome synthesizer ever and now need your help to get it into production. It feels like it’s an idea – a cool idea – that they reckon they can build if only someone gives them a load of money. There’s no prototype yet because as explained we want the peoples that will pledge on a unit to have some control over the final product. We have a really solid professional engineering team behind us and we are gonna have access to a PCB printer, so from a PCB drawing to a physical unit it will take under 24 hours instead of 2 weeks and at only 10-30% of the standard cost. So giving an example regarding oscillators we will built 3 different designs and the backers will be able to listen to them via our website and discuss together to decide which one they prefer. So the final unit in the end will really aimed at what the majority of the backers like. People invest in concepts all the time, but usually, investments are a measured risk with a considered likelihood of return. In this case you are buying a product that may never exist and that has a very different feel to it. I’ve seen a lot of products come through Kickstarter and even with working prototypes, it’s a hard road to get something made properly. It seems remarkable to me that they believe they can take a mostly finished concept and produce a “game-changing” hardware synthesizer in 8 months. But that doesn’t mean they can’t do it – it is a new paradigm after all. They’ve attracted one backer for the price of a synth plus another $10 one since it launched 4 days ago and they have a goal of £67,581 which seems ambitious at the moment. But who knows. It’s interesting enough to get me to write five times what I would normally write. I just wish they’d put some time into some hardware renders, or the sound architecture modelled in software, or anything that makes me think they’ve put something of themselves into this project. Or maybe they should have looked at building a community before launching on Kickstarter. 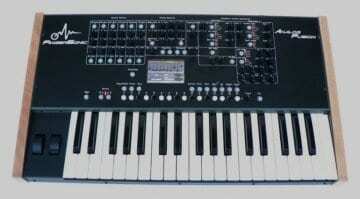 People who are into synthesizers would probably relish the opportunity to get involved in a project like this. Just look at the response Behringer gets to its forays into crowdsourcing ideas. But maybe not if you ask them for money and then dismiss their questions and cynicism with a defensive attitude. It just sounds a bit like they’ve got a great idea that they want other people to pay for – and that’s not really how communities work. Update 5th March – Kickstarter suspends the funding. No reason was given, no response from Yann.